Transparency Maldives on Monday stated that the move to seek prosecution for former president Yameen Abdul Gayyoom and former Legal Affairs minister, Azima Shakoor is a step taken forward in the fight against corruption. Transparency said in a statement that it is not possible that the Maldives Marketing and Public Relations Company (MMPRC) scandal, which saw millions of state funds embezzled and siphoned into private accounts, could have been pulled off without the involvement of parliamentarians, banks and private businesses and MMPRC board members. 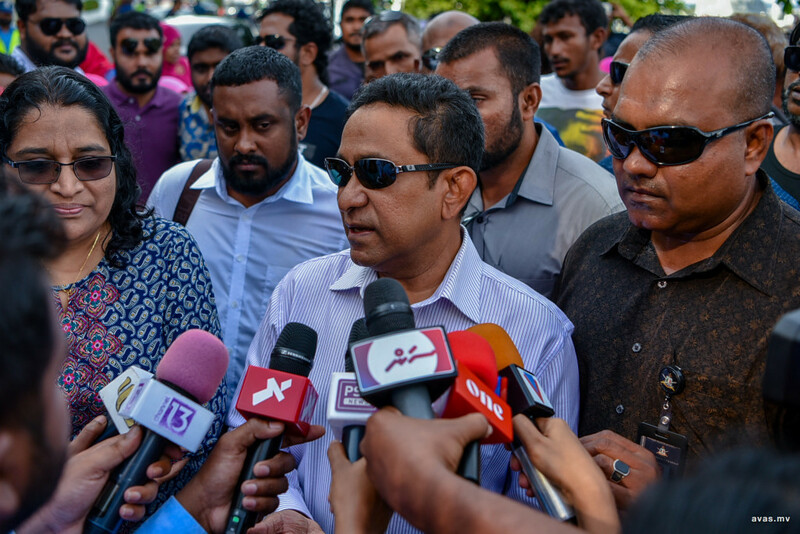 Last week, the police forwarded a case of money laundering against former President Yameen Abdul Gayyom and his lawyer, former Legal Affairs Minister of the President's Office, Azima Shakoor to the Prosecutor General's Office. In a statement released on Wednesday night, the Police revealed that the the funds embezzled from Maldives Marketing and Public Relations Company (MMPRC) was deposited into a Maldives Islamic Bank (MIB) account under former President Yameen Abdul Gayyoom's name after which it was laundered. The police have also learnt that both Yameen Abdul Gayyoom and his lawyer had provided false information to state authorities regarding the funds. Therefore, the police are seeking to charge Yameen Abdul Gayyoom with providing false information to authorities, while they seek to charge Azima with being an accessory in laundering the embezzled funds and attempting to falsify information. The police also revealed that an amount of $1 million was deposited into President Yameen's account by SOF Private Limited, whose account was used to move around the embezzled funds. While the case investigation has been concluded by the police and sent to the PG, Attorney General's Office recently shared the evidences obtained by the office regarding the transactions. In their statement on Monday, Transparency Maldives further said investigations have revealed that negligence by central bank MMA, Maldives Islamic Bank, Bank of Maldives and board members of MMPRC contributed to the execution of the graft. In order to effectively battle against corruption, action has to be taken against those involved in corrupt acts at any level, be it benefiting from acts of corruption, or keeping silent while having knowledge that such acts are being committed, said Transparency. Several people gained received undue benefits through the MMPRC scandal, where the embezzled MVR 1.5 bln were siphoned into 155 personal accounts through a private company, noted transparency Failure to publicize the details of the 155 accounts is a hindrance to bringing those involved in the scandal in-front of justice, they added. Transparency Maldives (TM), is a National Chapter of Transparency International, the leading global movement against corruption. TM is a non-partisan organisation that promotes collaboration, awareness and undertakes initiatives to improve governance and eliminate corruption from the daily lives of people.